Anthony Atala, MD, director of the Wake Forest Institute for Regenerative Medicine, focuses on growing new human cells, tissues and organs. Under his leadership, the institute regularly partners with industry, executing projects from concept, bringing fresh ideas to existing efforts and performing sponsored research. Anthony Atala, MD, earned his medical degree from the University of Louisville School of Medicine. He completed his residency at the University of Louisville and a fellowship at Harvard Medical School/Boston’s Children’s Hospital. He joined Wake Forest Baptist in 2006 as the founding director of the Wake Forest Institute for Regenerative Medicine and chair of the Department of Urology. As director of the Institute for Regenerative Medicine, Atala oversees a team of more than 400 researchers who are dedicated to developing cell therapies and engineering replacement tissues and organs. They are currently working on therapies for more than 40 different areas of the body. From developing a new treatment for hemophilia to engineering muscle, bone and tendons for reconstructive surgery, the institute focuses on developing new therapies to improve patients’ lives. Atala also directs the Armed Forces Institute of Regenerative Medicine, a federally funded effort to apply regenerative medicine. Related projects underway include engineering blood vessels, developing treatments to heal wounds and engineering replacement tissues for devastating pelvic injuries. 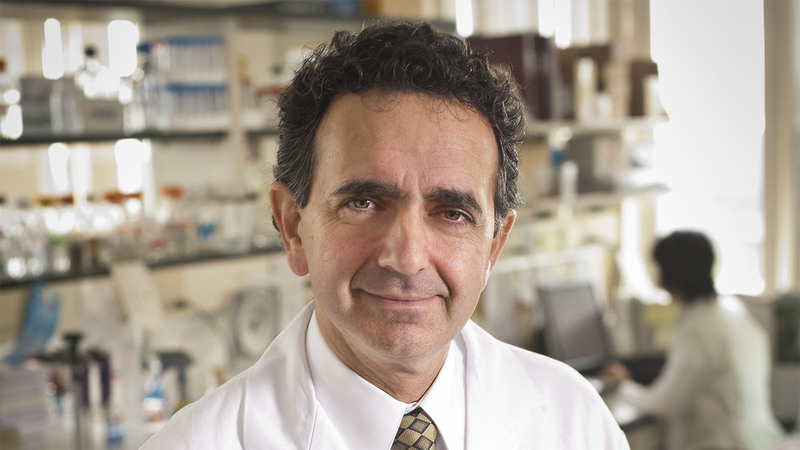 Atala is a recipient of many awards, including the Christopher Columbus Foundation Award, which is bestowed on a living American who is currently working on a discovery that will significantly affect society, and the World Technology Award in Health and Medicine, presented to individuals achieving significant, lasting progress. In 2011, he was elected to the Institute of Medicine of the National Academy of Sciences and was inducted to the National Academy of Inventors as a Charter Fellow in 2014. He was named by Scientific American as a Medical Treatments Leader of the Year for his contributions to the fields of cell, tissue and organ regeneration. His work was listed as Time Magazine’s top 10 medical breakthroughs of the year and Discover Magazine’s Number 1 Top Science Story of the Year in the field of medicine in 2007. In 2009 Atala was featured in U.S. News & World Report as one of 14 Pioneers of Medical Progress in the 21st Century, and his work was listed by Smithsonian Magazine as one of 40 things to know about the next 40 years in 2010. In 2015, he was named by Scientific American as one of the world’s most influential people in biotechnology. Atala has led or served on several national professional and government committees, including the National Institutes of Health working group on Cells and Developmental Biology, the National Institutes of Health Bioengineering Consortium and the National Cancer Institute’s Advisory Board. More than 12 applications of technologies developed in Atala’s laboratory have been used clinically. He is the editor of 14 books, including Principles of Regenerative Medicine, Foundations of Regenerative Medicine, Methods of Tissue Engineering and Minimally Invasive Urology. He has published more than 500 journal articles and has applied for or received over 250 national and international patents. Collaborate with leading experts in the field of regenerative medicine research and access preclinical and clinical research services at Wake Forest Baptist.